Join us on October 22nd at 7pm at the Chelsea Art Museum. Tickets in Advance: $95 for one or $180 for two (above). At the door, $120. 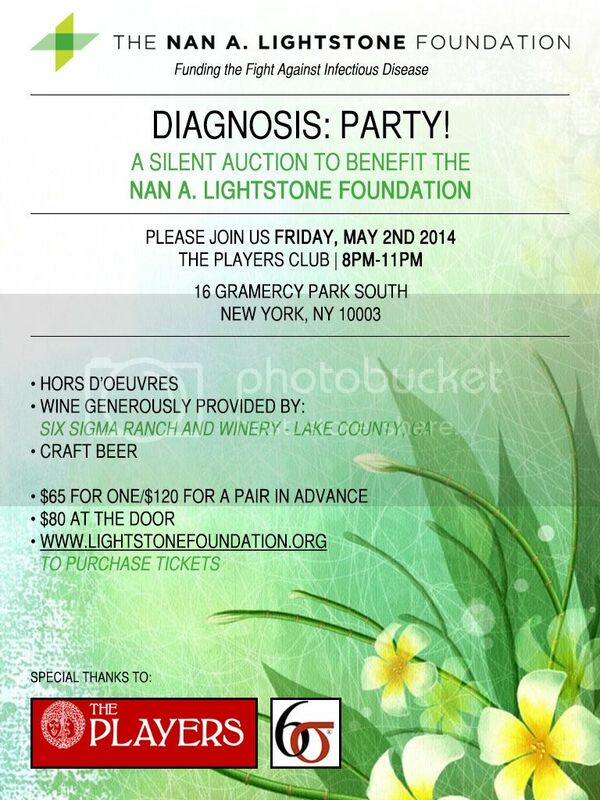 Cocktails and light refreshments served. 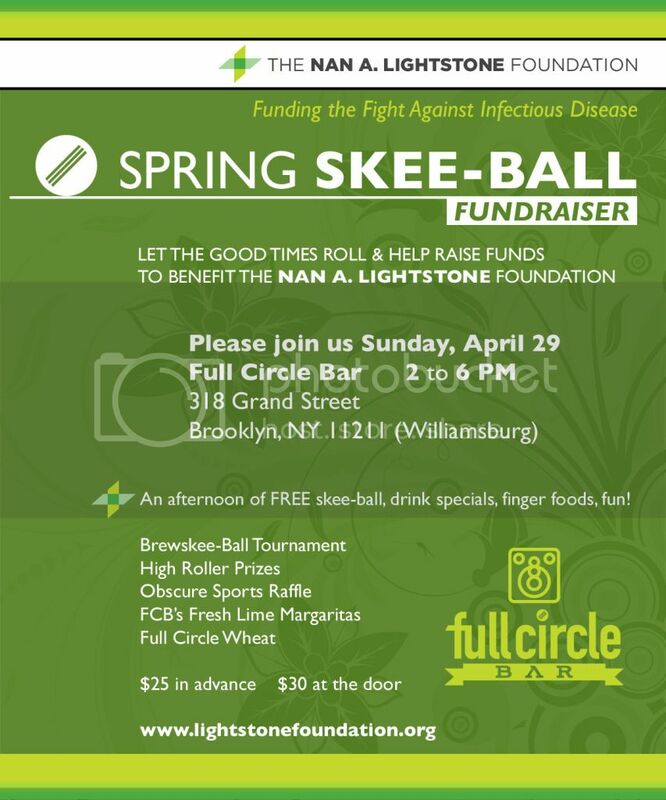 Every autumn, The Nan A. Lightstone Foundation hosts a fundraiser to raise awareness and support for the fight against infectious disease. See photos and videos from past events. 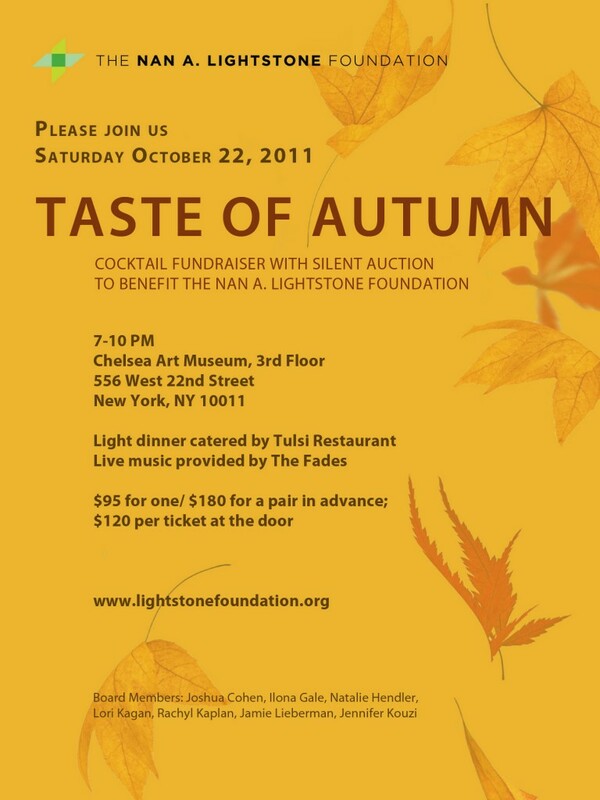 Above: 2009 and 2010 Taste of Autumn invitations.